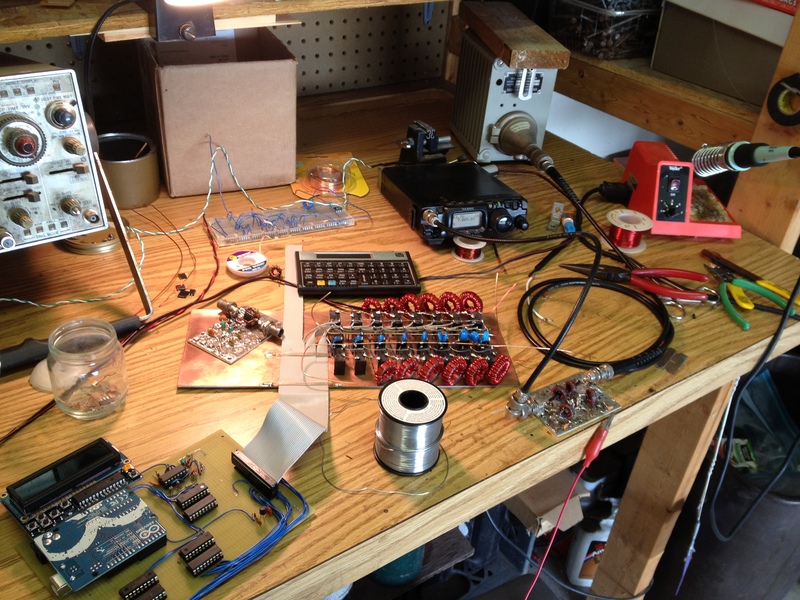 Recently it’s been quiet here on Radio Artisan and I’ve been somewhat absent on AmateurRadio.com. The usual excuses apply, with work consuming most of my intellectual energy and time. It’s unfortunate we have to work so hard to live and have some fun. In this culture we seem to be on an endless treadmill that goes faster and faster, but goes nowhere. But needless to say I’m still alive and have been actually doing some amateur radio stuff these days. Daily I receive correspondence about my CW Keyer and Rotator Controller, most of it coming from Europe and Australia. Originally with the Rotator Controller I just wanted to interface my Yaesu rotator to the computer, but it’s gone beyond the original scope with notes from folks interfacing homebrew rotators and some amateurs with really cool ideas. I continue to write bug fixes and minor feature updates for the CW Keyer, which now has two parties offering hardware kits. The main project garnering the most attention right now is the Arduino Antenna Tuner. It’s going slower than anticipated, but I’m pleased to say I’ve been making some progress with a good portion of the tuning network built, the I2C interface hardware working, and the frequency counter prescaler built on the hardware prototype. I’m currently working on an SWR bridge and I’m having some issues. I’ve built a Bruene bridge and a Tandem Match bridge, and both have rather mediocre directivity, in the neighborhood of 12 to 14 dB. Both of my SWR bridge prototypes are “good enough” to use for software coding and testing, however I want the final product to be better. Any feedback from anyone with hands-on experience building SWR bridges would be appreciated. Once I get the hardware prototype to a reasonable level, I can dive into the coding. Some of this work was completed earlier this year as I wrote some SWR reading and calculation subroutines and some LCD interface code. I’m really giddy to get coding. Although I really like building stuff I guess I’m more of a software guy than hardware. I find algorithms, protocols, networking, and interfacing exciting. I continue to enjoy working with folks, helping them get code working and talk about ideas. It’s neat to be able to email someone halfway around the world a code snippet and have them load it up on their hardware, use it, and have fun with it. Although the Internet has made the world seem smaller, and amateur radio is no longer the only way to talk to folks in far off lands, amateur radio adds another dimension to the Internet and vice versa giving us more opportunity to help each other and promote international goodwill.